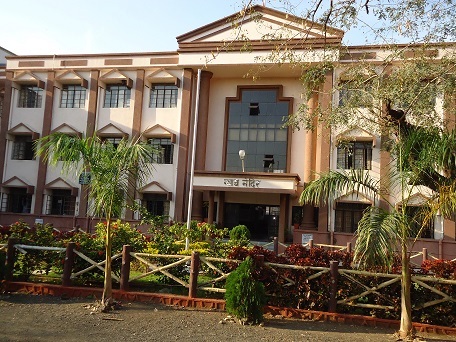 District and Sessions Court, Wardha was established in the year 1911. Initially the court working started from the building of Jankedevi Bajaj College of Science and Education. Shri B.B. Mehra was the first District & Sessions Judge. A separate court building was constructed by State Government at Sewagram road, Wardha in the year 1918 and, thereafter, District and Sessions Court shifted in the same. Later on, in the same premises a construction of District Court new building was completed in the year 2004. The new building was inaugurated by Shri Dalveer Bhandari, the Hon'ble Chief Justice, High Court , Bombay, on 26th November-2004. Since then the District and Sessions Court, Wardha is functioning in this new building. Whereas courts of C.J.J.D. & J.M.F.C. including court of C.J.M. are working in the old building. At present there are eight Tahsils i.e. Wardha, Deoli, Seloo, Arvi, Ashti, Karanja (G), Hinganght and Samudrapur. The Courts of C.J.J.D. and J.M.F.C. are functioning in all Tahsils including Pulgaon except Deoli. Being a part of pilot project, the Gramnyayalay was established in Wardha district on 2nd October,2009 i.e.on Gandhi Jayanti. The Gramnyayalay was inaugurated by Shri S.A. Bobade, the Hon'ble Justice, Hight Court, Bombay and in presence of Shri C.L. Pangarkar, Hon'ble Justice & Guardian Judge, Wardha District, High Court, Bombay. At present Gramnyayalay is functioning at Sewagram in the premises of Mahatma Gandhi's Ashram. Juvenile Justice Board is also functioning under the District & Sessions Court. There is separate building and establishment for Legal Services Authority since long. Information of sanctioned and Vacant Posts of Wardha Judicial Deptt.